The back of the quilt for Matteo. I used Karen Montgomery's Stix and Stones fabric collection to make a quilt for our adorable and talented 18-month-old cousin, Matteo. I meandered with variegated colored thread. This was super fun to make. I hope Matteo likes it! 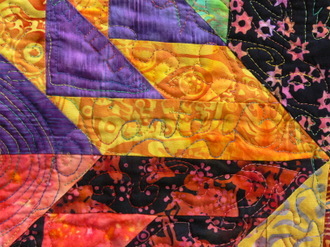 Click for a view of the back of the quilt. 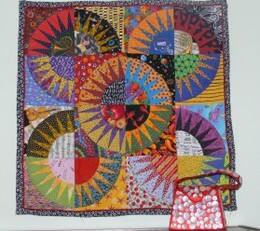 Click to see more of my quilting. I just love the latest packet of half-yards I bought on Ebay. 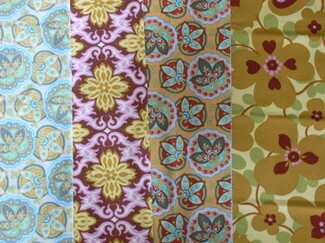 I try to shop at local stores but so few carry the Rowan, Westminster fabrics. I am not pre-washing any of this and I hope I am not making a big mistake. 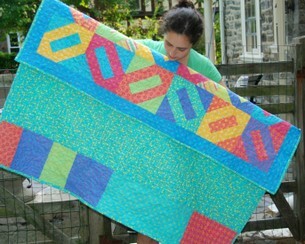 I am combining Kaffe Fassett and Amy Butler and they look beautiful together. 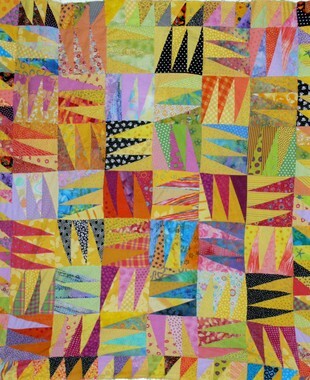 I am using blocks with big pieces of fabrics so that I get a full feel for each design. The quilt is growing so quickly! Hurrah! Some details are below. 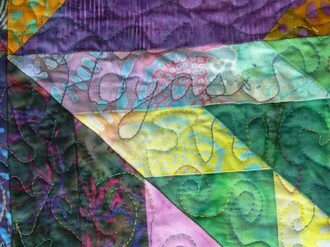 I used so many batiks in this paper-piecing poject. I hope my son will love it. He should get it in the mail tomorrow! Please click on the image for a closer view. And click here for another detail. Please click on image to enlarge photo. I have to stretch the bottom some before I batt and quilt. 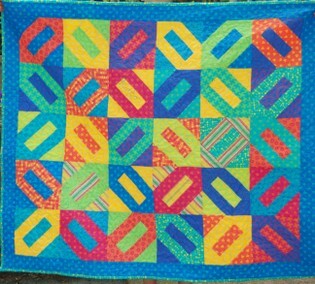 I have learned a lot about not edging quilts with bias pieces! 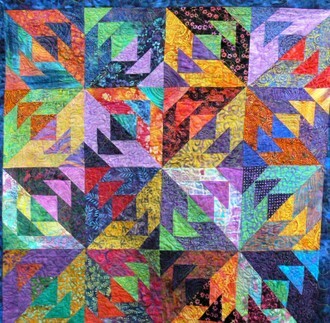 This is a Kaffe Fassett paper-piecing pattern. 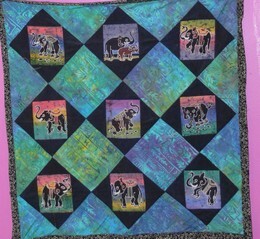 This is for my daughter who likes elephants.